JLH Drains provide comprehensive home and business drain and pipe repair services across Rochester, Kent including emergency call outs, cleaning and unblocking. 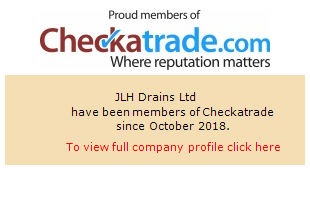 Working throughout Rochester, Kent, JLH Drains provide a complete range of solutions to all domestic and commercial customers suffering problems with their drainage system. We provide a reactive, professional and technology based approach to search out cracked and blocked pipes quickly and with a minimum of fuss or expense. Whatever the problem, we can find an effective solution at the best possible price. Blocked drains, toilets or sinks are a big problem in the home or in business, besides putting facilities out of action they can quickly develop into unpleasant health risks. Our service, provided across the Rochester, Kent region, can deal with any problem quickly and professionally helping you maintain a sanitary environment; the service can include regular drainage maintenance works to ensure your pipeworks are functioning perfectly. Looking for Drain CCTV Surveys in Rochester, Kent? CCTV inspections and surveys of drains and pipes have become a critical tool for drainage maintenance and repair, and are increasingly a requirement for insurance companies if you want to claim on your buildings insurance for any works carried out. We’ve provided survey reports from across Rochester, Kent for all of the major insurance companies providing a full video and written report to detail the nature of the problem and the best approach for repairing it. You can trust in JLH Drains for any excavation requirements precisely because we’ll do everything we can to avoid them; we take pride in giving our customers fast turnarounds at the minimum price and only excavate when there is no other choice. With a highly expert team from across Rochester, Kent we’ll quickly trace the drainage problem and guarantee all excavation works are carried out as quickly, effectively and professionally as possible. Traditionally, any problem with drainage pipes meant expensive and time consuming excavations to tear out a cracked pipe and replace it, or even just to reconnect a pipe to a join which has come loose. At JLH Drains in Rochester, Kent we invest in the latest technology to avoid all that fuss, combining CCTV equipment with remotely applied epoxy resins that seal up cracks and splits in drainage pipes leaving a smooth finish that’s tougher than the original pipework!